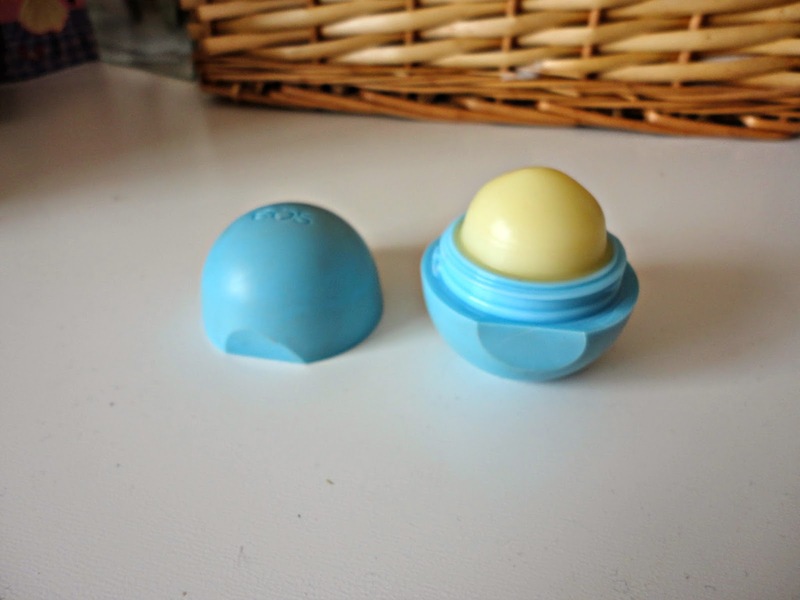 EOS lipbalms have been well known in the beauty blogging world for a while now, and when I got my hands on one a few months ago, I could not have been more excited! A friend brought me one back from Hong Kong (the 'Summer Fruits' one) and it's now on it's last legs as the ball is now completely flat! However, on my recent trip to London (see what else I bought here), I picked up the 'Blueberry' one from Selfridges. I was aware they were sold there but they're sold near the magazines etc rather than in the beauty hall so I really just stumbled across them on the hunt for Allure magazine! This smells absolutely amazing - like blueberry muffins! I know some people may think they are a bit gimmicky, but they really do nicely hydrate my lips and are great for on the go as they're so small. The packaging does tend to get a bit grubby as it's the same type of rubbery packaging as NARS, however, the product inside is lovely. They're great for having on underneath lipstick as they don't have a tint to them, although I would recommend something a little more hydrating for nighttime. If you're near Selfridges or are planning a trip to America, I'd definitely recommend picking one of these babies up! I now also have 2 of my friends hooked on them, as they're so cute and make lip balms that little bit more exciting.